How do I use the QuickCAST Server UAV Malware Scanner (LM) Option? 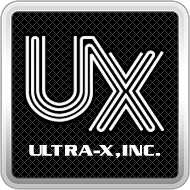 – Ultra-X, Inc.
1. From the QuickCAST Server menu, use the down arrow key to navigate down to the Advanced Tools option and press [ENTER]. 2. Navigate down to the Malware Tools and press [ENTER]. 4. Wait for the deployment image to transfer from the QuickCAST Server to the unit under test. The UAV Malware scan image is large ~about 500mb so deployment time will vary depending on your network infrastructure and concurrent deployment. 7. Once UAV is fully initialized, it will automatically begin scanning the primary disk. 8. Once the scan is complete the Results summary will appear.